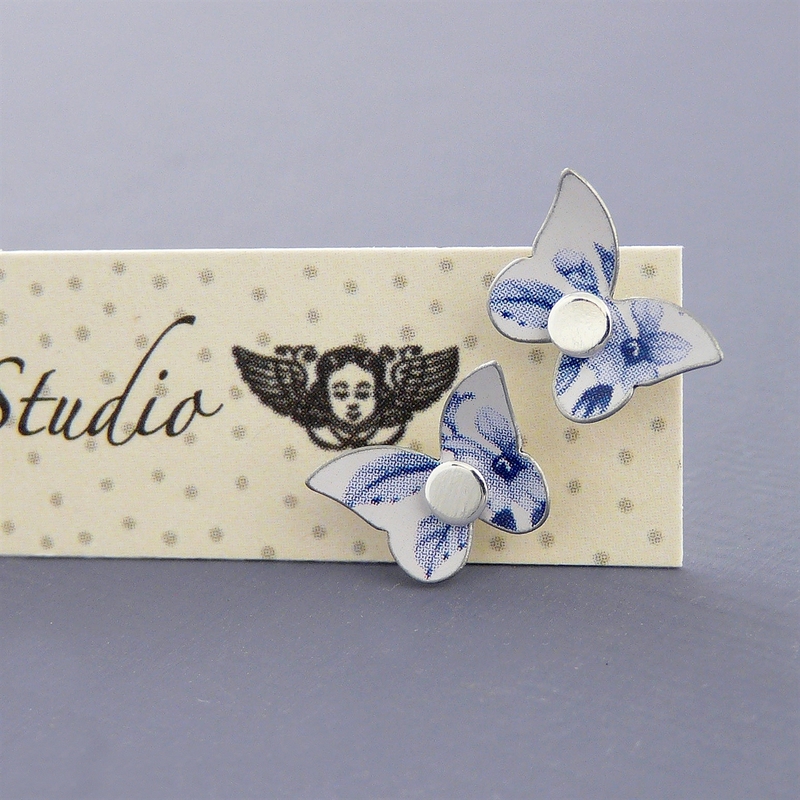 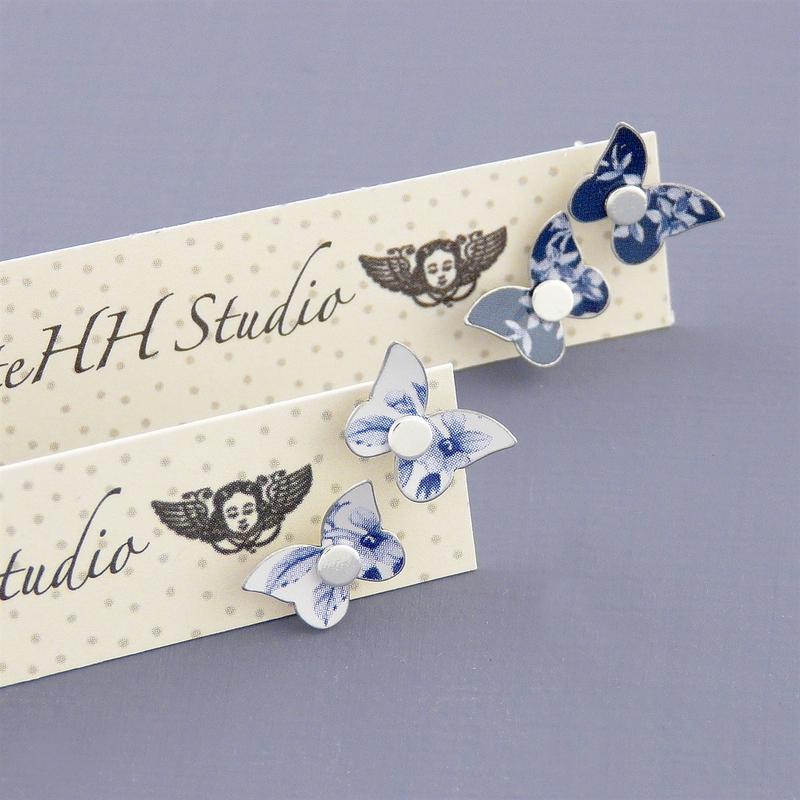 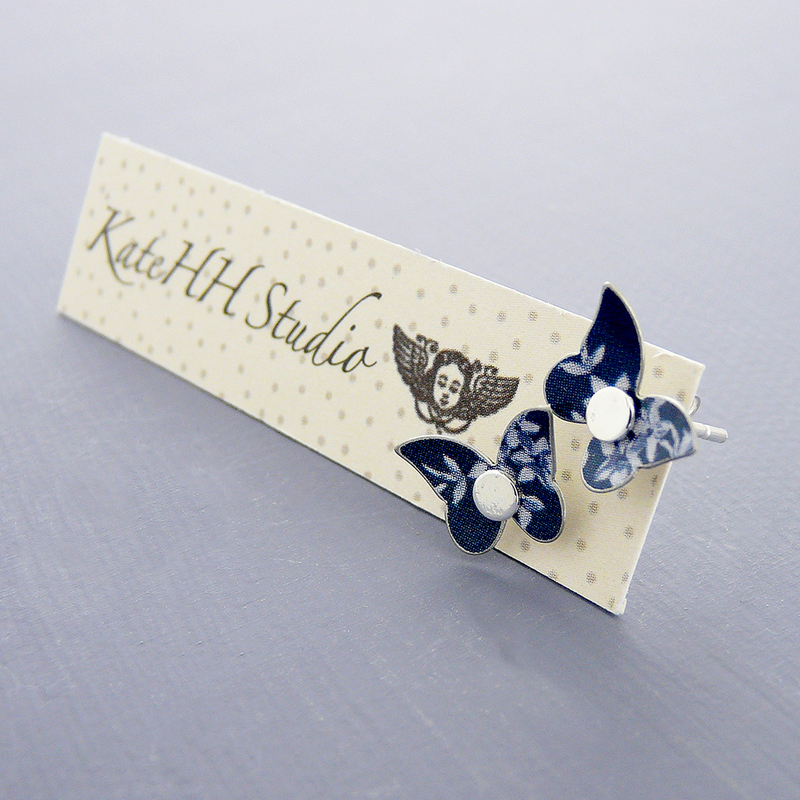 Our tiny butterflies are only 8mm high by 12mm wide, creating a pair of gorgeous dainty studs when made in our denim prints. 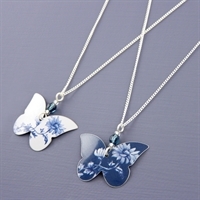 Available in white or blue denim. 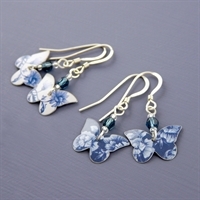 Butterflies supplied on sterling silver earposts with butterflies. 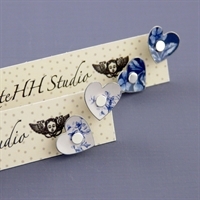 Pretty round heart studs in our popular Denim print.